project manager Analyze your project as a single entity, and also manage a portfolio of projects Assess your resource strategy and management effectively Improve your project tracking and deliveryThis 3rd edition of the definitive book on business-led program and project management offers help at every stage, from building a project team right up to reaping the rewards of a timely and successful project. It will be a valuable companion for project managers and executives at any level, and a comprehensive resource for students of project management.Projects are an important strategic management tool and a way of life for every businessperson. But how do you get started and ensure a successful outcome? This book takes the reader step by step through project management, acting as a companion and guide to ultimate project success. 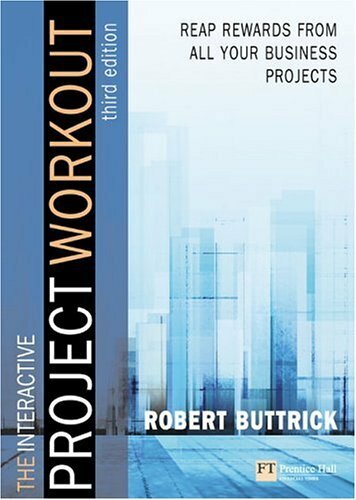 "The Project Workout is an important book, taking a lead role in growing a new generation of professional project managers." Oded Cohen, The Goldratt Institute. The Initial Investigation Stage: Have a Quick Look at it! The Develop and Test Stage: Do It! The Release Stage: Lets Get Going! The Post Implementation Review: How Did We Do? There Are Two Many Projects To Do! Whilst the fundamental principles have not changed, the business, organisational and technical landscape has moved on.